Well, Vivaness 2018 has come and gone. The 11th edition of the trade fair took place from 14th to 17th February 2018 together with sister show Biofach, the biggest organic food trade show worldwide. I actually had to go through my old show reports to count how many times I’ve attended this trade show; 2018 was my fifth Vivaness visit. 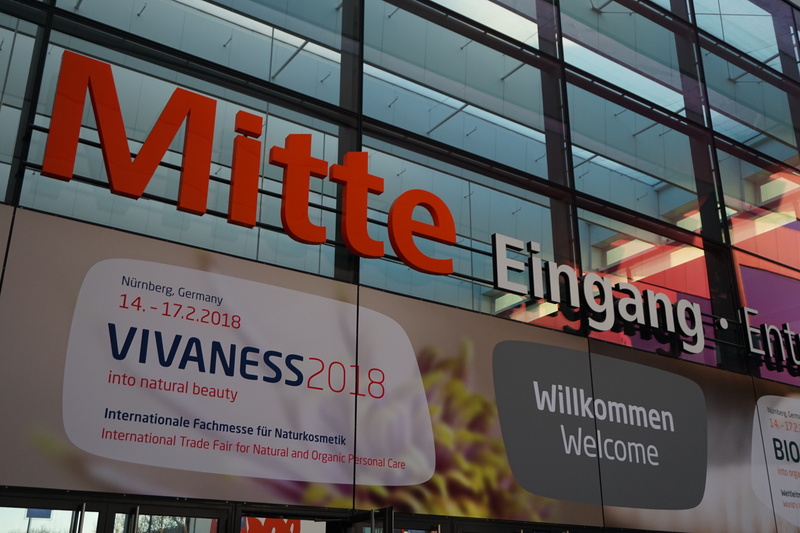 In total there were 3,218 exhibitors at both shows (275 of these companies and brands were Vivaness exhibitors) which is a big increase compared to 2017 – check out my show reviews for Vivaness 2014, Vivaness 2015, Vivaness 2016 and Vivaness 2017. This year’s trade fair seemed to feature more small and newcomer brands than previous years (especially in the newcomer Breeze exhibition area) which was fabulous – after all, this is one of the main reasons why I love visiting trade shows: new brand discoveries! Which is also why this show review will focus on international niche and start-up brands (many of which you’ll recognize from my Instagram feed). Also, with a few exceptions, these are all brands that I’ve never written about on trend-traveller, so this is quite exciting for me as well. I’ve grouped the brands by country, but in no particular order. And now, click on the link below to read more about my favourite brand discoveries at Vivaness 2018! 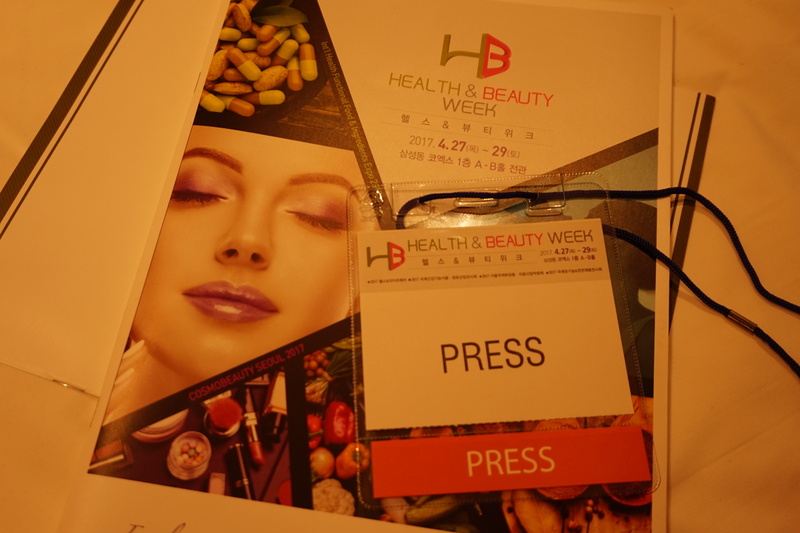 Asian beauty goes organic (p.12) – a round-up of some of the interesting organic newcomer brands I saw at Cosmobeauty Seoul 2017 and China Beauty Expo 2017. Top 5 Organic Food Retailers in Germany (p.29-p.30) – the first installment of a new OWN article series which looks at the leading organic food retailers in various international markets. Next Organic Start-Up Awards 2017 (p.30) – a round-up of the 2017 winners in this unique start-up competition. The last stop on my recent Asia trip was Shanghai; China’s largest city (according to Wikipedia) and one of the country’s four so-called top tier cities. It was my first visit to Shanghai (and mainland China) and I loved it. Granted, I only saw the (touristic) city centre – I was there for just four nights (on the 144 hour transit visa deal for EU citizens) and two of those days were spent at China Beauty Expo 2017 – but still: such a cool city! It’s great for exploring on foot, has a fascinating cityscape, interesting buildings, stores and markets, and the food!!! And Shanghai has a fabulous bar scene, too – I wish I could have had an extra few nights to try out all the bars on my short list; thank you @asia.cocktails! – but at least I managed to visit Speak Low bar. An excellent night. 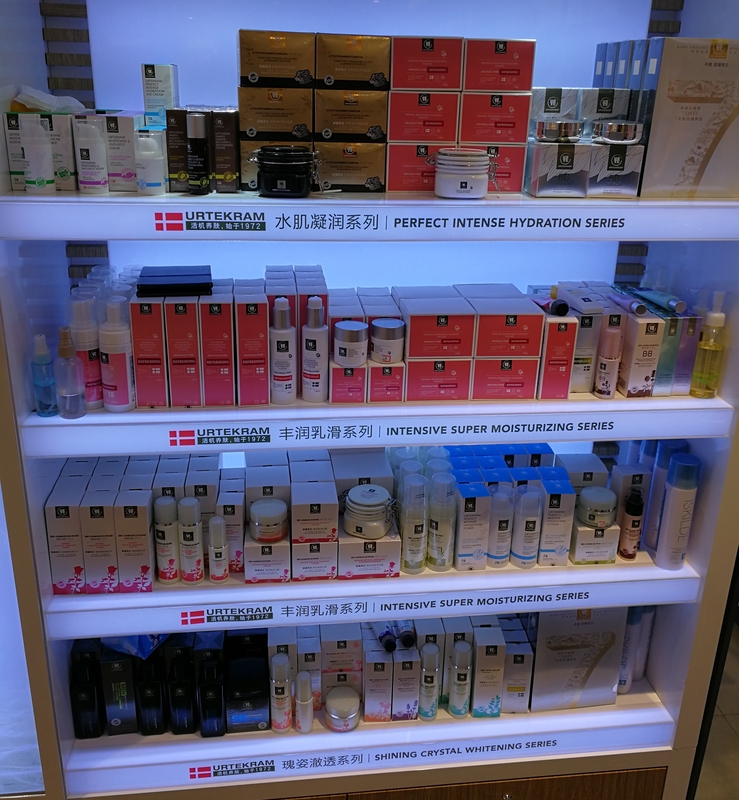 But this article isn’t about Shanghai’s tourist attractions, it is about an organic beauty brand which I discovered quite by accident in a Watsons drugstore on Nanjing East Road (Pedestrian street ). Even more surprising was the fact that I knew the brand – Urtekram is one of THE best-known and oldest Danish organic beauty brands and they have a wide European distribution. However, it seems that Urtekram (or “Yatikelan”) also has a product portfolio of around 100 sku designed specifically for the Chinese market. Exciting stuff! Essences, toners, lotions, BB creams, CUSHION FOUNDATIONS, men’s care; face masks – these are Asian formats and textures. None of these product ranges are available anywhere in Europe (or in East Asia either; at least I haven’t seen these products in any of the beauty stores I’ve visited in Tokyo, Taipei or Hong Kong). The ranges aren’t listed on Urtekram International’s website either. I tried to contact Urtekram China through their official Shanghai address but didn’t get a response. I can’t read a word of Mandarin, unfortunately, and Google Translate doesn’t work so well with non-Western scripts, but I did my best to dig up some info for y’all. Keep in mind that most of this info is based on assumptions, conclusions, inferences and some creative lateral thinking. If anyone of you kind readers out there can confirm or correct the facts or has additional info about Urtekram China, please let me know and I’ll update the article accordingly. I also took a whole bunch of photographs (I think I spent almost an hour sitting in front of the product display; the sales assistants were starting to give me distinctly nervous glances) and I bought two of the hydrating toners which are SUPERB! Loving the textures. Anyway, this is probably the longest teaser paragraph I’ve ever written for a trend-traveller article, so click on the link below for more info and pictures! 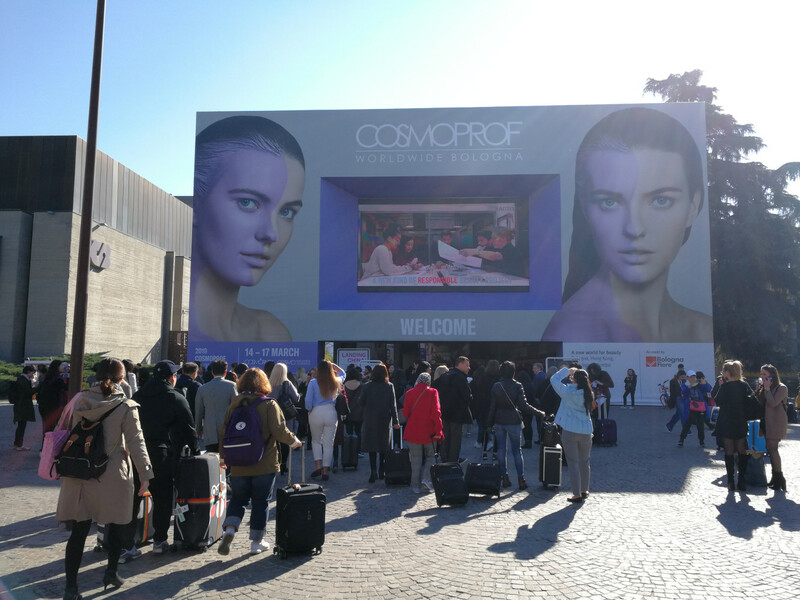 Cosmoprof Bologna 2017 finished on a high note: according to organiser BolognaFiere, 2,677 exhibitors from 69 countries and more than 250,000 visitors from 150 countries attended the fair. 2017 marked the 50th edition of the world’s biggest C&T trade show and there were several new features to celebrate the anniversary. 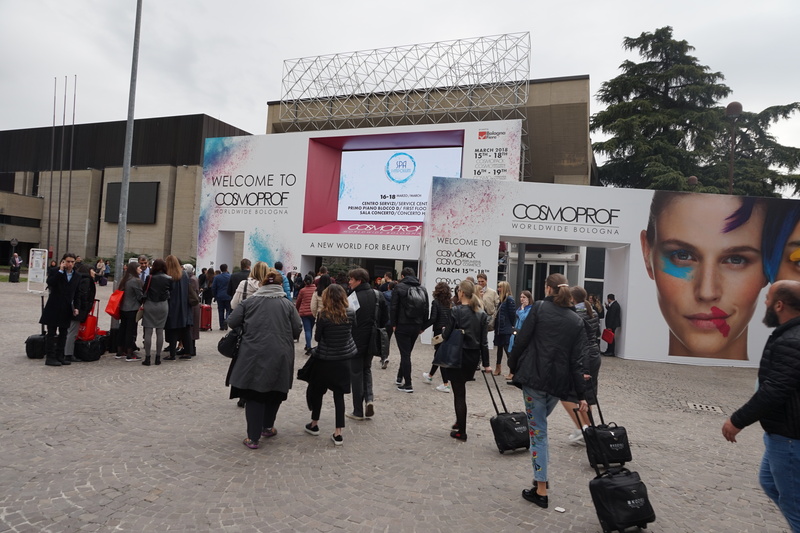 It was my second visit to Cosmoprof Bologna; you can read my show review of Cosmoprof Bologna 2016 here. 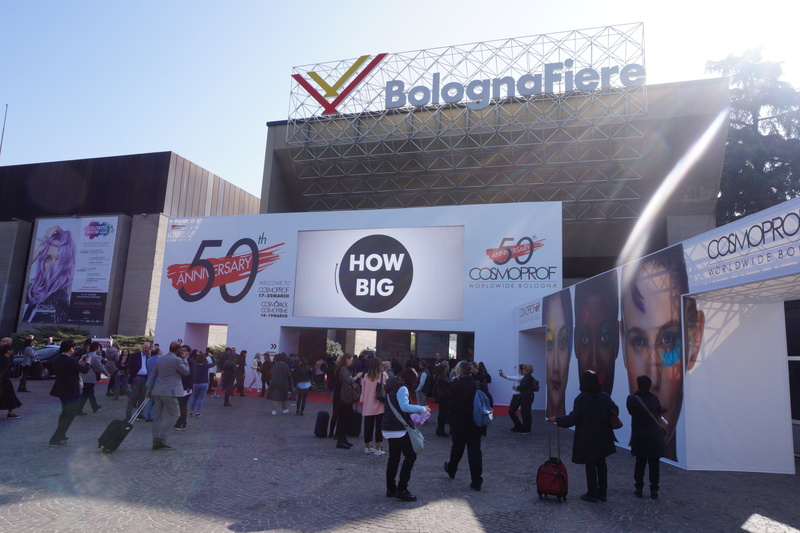 Cosmoprof Bologna is so big that it is impossible to cover the entire trade show, even if you are there for the entire five days. 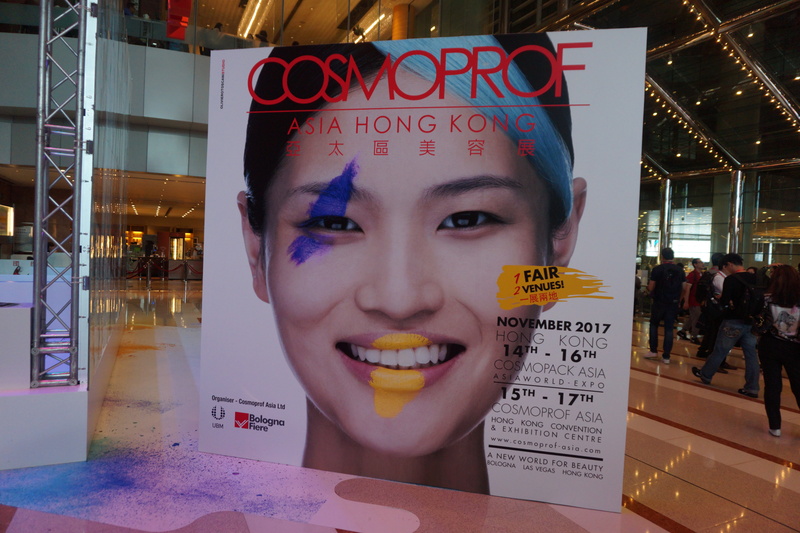 I decided to skip Cosmopack and the Hair and Nail halls and instead focused on Cosmoprime (Hall 19), on Hall 21 (green and natural cosmetics) and on Halls 29, 30 and 35c which is where the country pavilions are located. 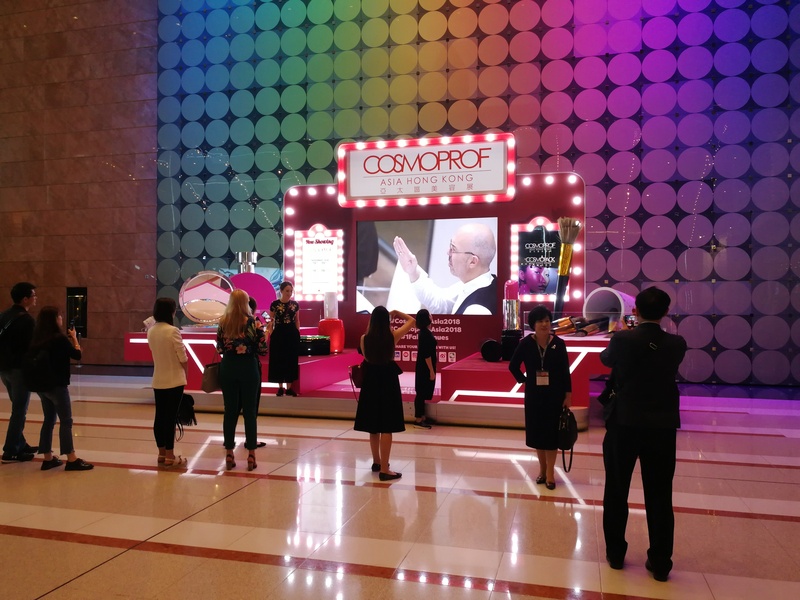 And here, roughly organised by Halls but in no particular order, are some of my favourite brand discoveries at Cosmoprof Bologna 2017!